All productions, international and domestic, need proof of Public Liability Insurance in order to receive permission to film or carry out commercial photography. You should obtain a policy in the earliest stages of pre-production and maintain it until the completion of all post-production activities. The policy can also be extended to include contingent motor liability for vehicles hired with drivers, and employees' own vehicles. Don't forget that health and safety is essential to an efficiently run shoot. If you do not adhere to Health & Safety regulations, your insurance policy may become invalidated. 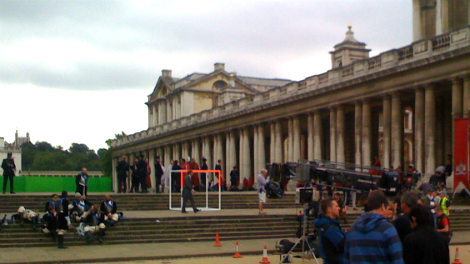 As a general rule you will be required to have a minimum of £2 million cover for street filming and photography. In some areas you will be required to have at least £5 million. Check with the location owners or the relevant Borough Film Service or local authority to find out exactly how much cover is required. If your project is part of your course, you should be covered by your college or university. You will need to supply confirmation from your college or university to this effect. To be insured by a UK insurance company the production company must be based in the UK. If you are not a UK film-maker you may be able to obtain insurance through a broker in the country in which you are based, but you will need to get this document translated into English. Non-UK policies will not be accepted in all locations, so you should check with the location owner or relevant Borough Film Service what their insurance requirements are before obtaining a policy. Looking for a UK media insurance company to obtain Public Liability Insurance or other cover for your shoot? Check our insurance contact list.